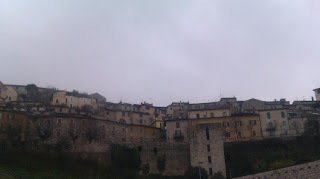 Though my love for Todi and its amazing surroundings will be obvious, it is not as if I ignore the rest of Umbria. To be honest, I am a country girl and even when I have enjoyed beautiful and impressive buildings, churches and squares in one of Umbria´s lovely cities I am always relieved to return to my country house in the rolling green hills. Yet it is impossible not to love the cities. They all have special spots and a cultural heritage that is best described as overwhelming. 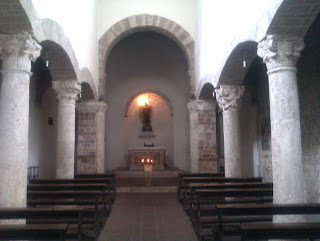 For example, I don´t remember one church, even small and insignificant as it may seem compared to the famous cathedrals, that has no fresco or statue to warm your heart and mind. 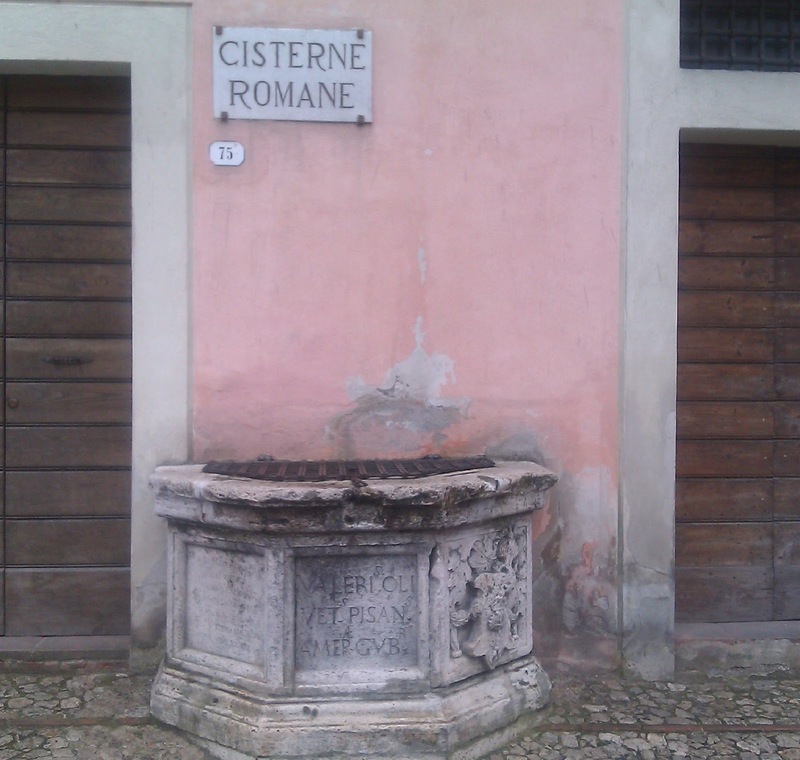 It is simply great to discover a small piazza somewhere outside the city center and discover that it has a cute Romain fountain too, or find a centuries old vine in a tiny alley. And it is even more satisfactory to meet a resident who has live there his whole life and is willing to tell you all the stories and where to go to get the best pictures. Having written about NarniUnderground it feels incomplete not to write about the parts in broad daylight. Narni is literally the center of the Universe...I mean of Italy. It is situated above the clough of the Nera river that made it a strategic spot in ancient times. You get a good idea of this looking down from the Giardini di San Bernardo. 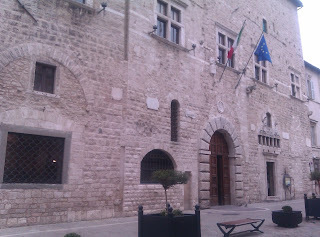 By the way, the entrance to Narni Sotterranea is located there too. Narni has an impressive Cathedral from the 12th century, as imposing at the outside facing the Piazza Garibaldi, as on the inside, containing various masterpieces divided over several beautiful chapels. The Piazza Garibaldi itself is a bit irregular and crowdy, but it´s really fun to have a coffee on one of its terraces and watch the people come and go. And if not, there´s always the Roman cistern to admire. 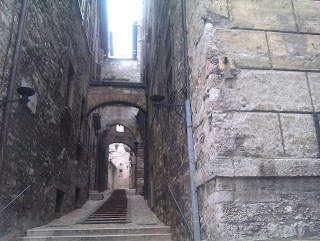 Walking on you will witness the beauty of a well kept Medieval city. Narni has the typical picturesque angles that seem to be untouched for ages. ThePalazzo dei Priori on the square by the same name, was constructed in 1273. 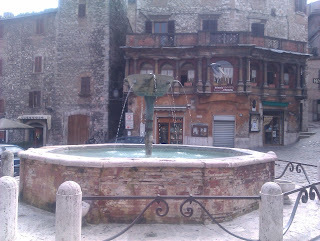 The square itself is said to have been the Forum in the Roman epoque. 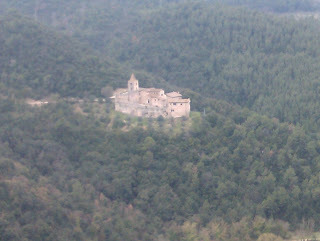 Narni, of course, has several beautiful churches, of which I will mention The Santa Maria Impensole. 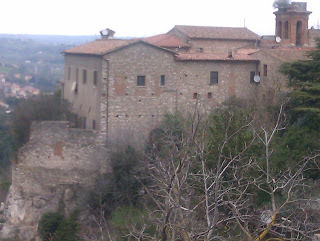 The name means `hanging church` but no adequate explanation has been given yet, though multiple speculations can be found. 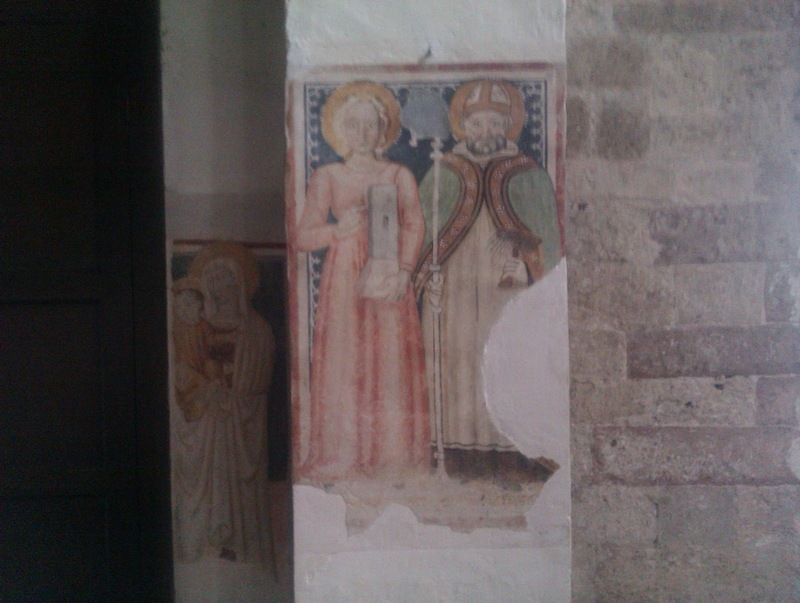 The church dates from 1000 and is constructed on the remains of an earlier one (8-9th century) that now forms the crypt. 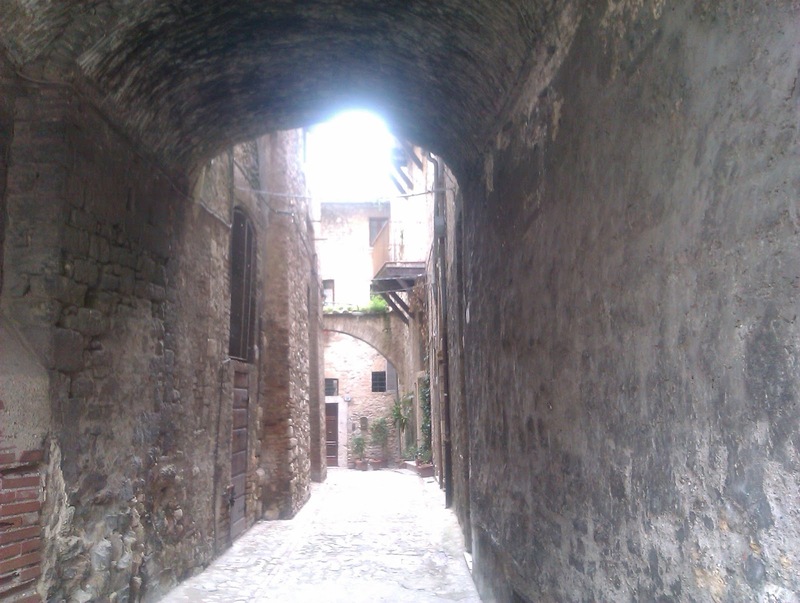 At this point, my Narni visit continued with the Sotterranea adventure. 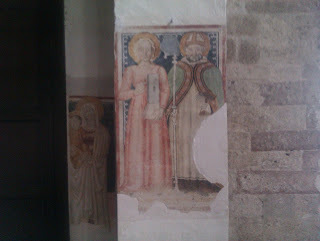 So let me end this blog by an anecdote from my first time in Narni. 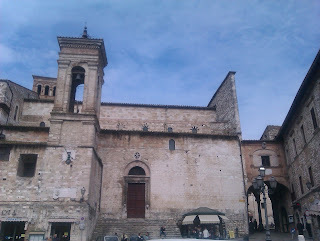 I visited the Santa Maria Impensole and left my youngest son (7 then) outside for he had been working on my nerves all morning by `hating churches, walking, heat, old paintings and everything else.` He sat on the Lion at the churches facade and I told him not to move or else. 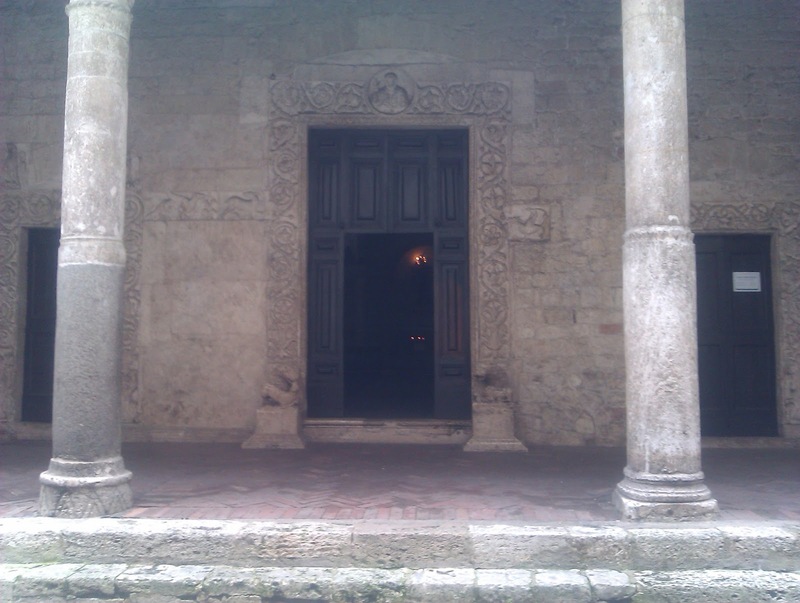 After ten minutes I thought it had become too crowded at the church door so suspiciously I went to check... and there was my son, standing on the lion, roaring an aria from `Figaro,` not restricted by any textual knowledge, collecting coins and sweets from the more than amused spectators. Since then, The Santa Maria Impensole goes by the name of Figaro Church in our family.